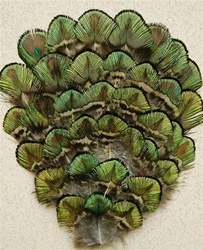 Peacock Pad Natural Gold. 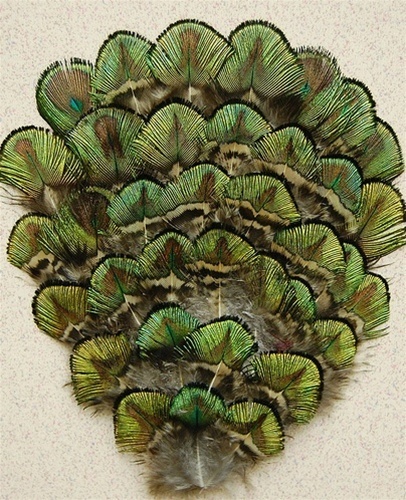 A Peacock pad with the natural Gold feathers. A very desirable pad. Very popular with Millinery, Headbands, Crafts and other various acesosries. Sold by the DOZEN only.